Google introduced the Accelerated Mobile Pages (AMP) project to give mobile users lightning-fast response times when accessing web pages on mobile devices. 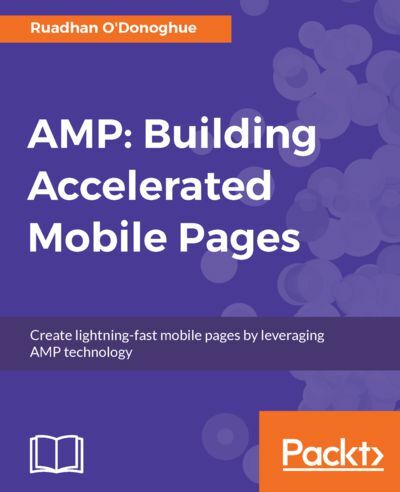 AMP delivers great user experiences by providing a framework for optimizing web pages that otherwise would take much longer to load on a mobile platform. This book shows how to solve page performance issues using the mobile web technologies available today. You will learn how to build instant-loading web pages, and have them featured more prominently on Google searches. If you want your website to succeed on mobile, if you care about SEO, and if you want to stay competitive, then this book is for you! You will go on a mobile web development journey that demonstrates with concrete examples how to build lightning-fast pages that will keep your visitors on-site and happy. This journey begins by showing how to build a simple blog article-style web page using AMP. As new concepts are introduced this page is gradually refined until you will have the skills and confidence to build a variety of rich and interactive mobile web pages. These will include e-commerce product pages, interactive forms and menus, maps and commenting systems, and even Progressive Web Apps.